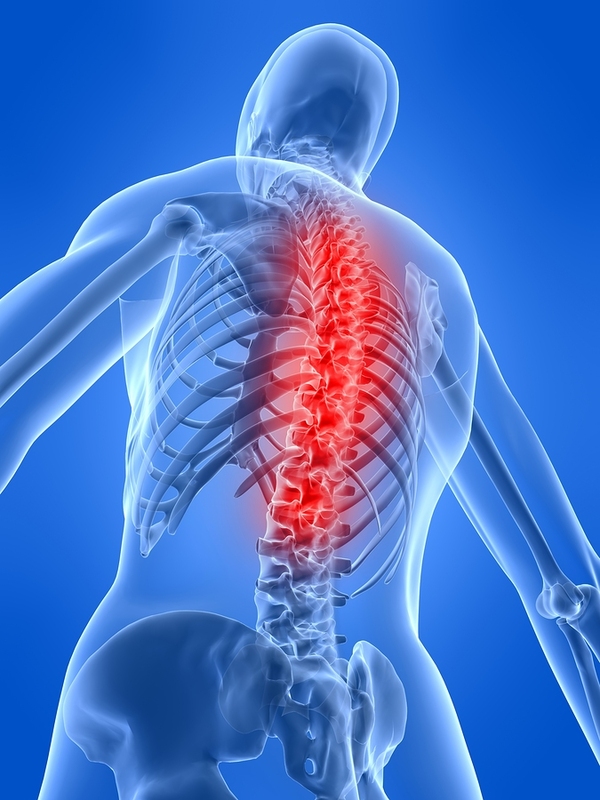 What are the Treatment Options for Vertebral Subluxation? Vertebral subluxation is the misalignment of the spinal vertebrae. Misalignments can be caused by the age-related degenerative conditions or by the irritation or the compression of the spinal nerves. All people, at one time or another, will experience vertebral subluxation. But, when a misalignment directly impacts a nerve or causes a muscle spasm, this is when a chiropractor for back pain becomes necessary for relief. Spinal manipulation is a therapeutic remedy used by chiropractors to re-align the vertebrae in quick and precise movements by twisting or pressing. After regular manipulations, the effects will be a healthy spinal column. The pressing or twisting will re-align the vertebrae and will relieve any pressure upon a nerve. Along with manipulation therapy, a chiropractor will offer advice on exercise, diet and overall lifestyle changes as part of your preventative care. OTC pain relievers, such as Tylenol or ibuprofen, reduce swelling and irritation. These pain relievers either lower the hormone-like substances produced by your body that cause pain or affect the part of the brain that receives pain messages. However, long-term use of any OTC reliever is known to cause stomach ulcers, kidney problems, strokes and heart attacks. There are also topical lotions, creams, and sprays available without a prescription. At times, it is necessary to begin a short-term regimen of OTC pain relievers prior to any spine manipulation. Corticosteroids are often administered by injection to provide relief to the inflamed area of the back. This form of treatment is strong and direct and is known to cause side effects such as headaches, mood swings, insomnia, and weight pain. Side effects are minimized by prescribing the lowest amount possible over the shortest length of time. Opioids, whether natural or synthetic, are a narcotic treatment and prescribed for the most acute pain, such as pain after back surgery. Patients who are prescribed opioids will not experience severe side effects, such as those caused by corticosteroids, but opioids are highly addictive when used for a long period of time. Interestingly, antidepressants can be used to treat back pain. This prescribed medication increases the signals within the body for relaxation and well-being, enabling pain control for some chronic pain. Research has shown that antidepressants are the best for pain caused by nerve damage on doses much lower than treating depression. Generally, any type of cold therapy should be applied within 1 to 3 days following an injury to the lower back. Cold therapy minimizes inflammation and decreases the potential for tissue damage. After cold therapy and when swelling subsides, heat therapy should be applied to encourage healing. Heat draws blood to the affected area along with oxygen and other nutrients to aid in recovery. Heat also reduces stiffness and lessens the pain signals to the brain. Unfortunately, finding equilibrium between ice and heat is purely trial and error, and patience and care should be in the forefront as you determine this personal balance. If your chiropractor prescribed exercises, heat before any exercise would loosen the muscles, and ice after the exercise will reduce pain and inflammation. By following the advice of your chiropractor, the healing process will be shortened. When the care of a medical doctor is no longer needed after surgery or an injury, the services of a back-pain chiropractor for spinal column treatment and maintenance, coupled with certain lifestyle changes, will maintain a healthy back and a higher quality of life. If you seek a back-pain chiropractor in Farmington Hills, Michigan, Spine Plus Chiropractic offers personalized assessments and detailed evaluations to help manage or eliminate your back pain.